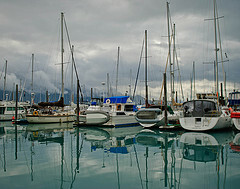 Homer aka: “Halibut Capital of the World” provides you with truly incredible panoramic views of mountain ranges, white peaks, glaciers and the famous Homer Spit - a long strip of land that stretches into the beautiful deep blue colored Katchemal Bay. It is a community that tempts you to stay for a while. Between the excellent museum, restaurants and art galleries, great scenery and interesting side trips to the other side of Kachemak Bay or to Seldovia you could easily spend a week here. Use the day to explore the area - kayak to a remote cove, take a scenic cruise and spot wildlife including whales, seals, sea otters and many shorebirds. 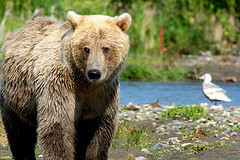 If you prefer to observe grizzly bears up close, take a scenic flightseeing tour to the Katmai Coast. Take a evening cruise to Halibut Cove and enjoy a dinner at the famous Saltry Restaurant and a walk to renowned artist galleries along the picturesque boardwalks. The average halibut brought in to Homer weighs around 28 pounds but there is always an excellent chance to catch "the big one". Along with the good fishing and beautiful scenery there is a good chance of spotting seals, sea otters, sea lions, puffins as well as whales. All this can ad up to a wonderful day of catching fish and experiencing mother nature in all her grandeur. Your full day fishing adventure begins at 6:00 am when your boat leaves the harbor. On the way to the fishing grounds you may enjoy a snack and coffee or hot tea. Charter caught halibut weighs between 25-150 pounds, with king salmon average of 25 pounds. 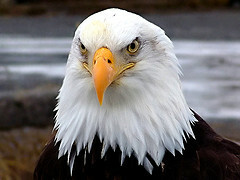 Watch for wildlife such as sea otters, sea lions, whales and puffins. Your crew will be filleting and bagging your fish at no extra charge. Tour includes all fishing gear and bait. 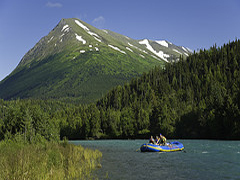 The Lake Clark bear viewing area is located on the Pacific Coast of Katmai National Park and is a popular area for Brown Bear viewing and photography. 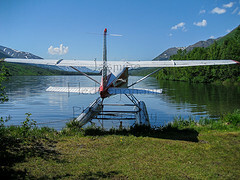 You'll fly across Katchemak Bay and the follow lush green coastline of the Alaska Peninsula which is capped with active volcanoes and massive glacier terminating in iceberg filled lakes. Lake Clark and Katmai is the habitat of one of the largest natural concentrations of Brown Bears in the world and can guarantee 100% bear viewing. Naturalist guides are sharing their knowledge about bears, a safety orientation and are experienced working in a wilderness environment.